Gwangju-si and Hyundai Motor Company signed an agreement for labor and management coexistence and social integration-type ‘Gwangju-type jobs’ that is based on great social compromise. They were finally able to make a dramatic settlement after signings ended in failure in June and December of 2018. Construction of production plant will be completed by 2021 and the plant will produce 100,000 sub-compact SUVs annually for Hyundai Motor Company. Gwangju-si and Hyundai Motor Company signed this agreement at Gwangju City Hall on the 31st while 400 personnel from South Korean Government, Gwangju-si, Hyundai Motor Company, and local governments were in attendance. Not only is this project is a new hope for South Korea, but it is a social integration-type model and a labor and management coexistence-type model that can fundamentally solve structural problems such as low growth and polarization that South Korean economy is currently faced with. New corporation in Gwangju will be established through $630 million (700 billion KRW) of investment including about $252 million (280 billion KRW) in capital. Gwangju-si will become the major shareholder by investing $53.1 million (50 billion KRW), which is 21% of capital, while Hyundai Motor Company will be the next major shareholder by investing $47.7 million (53 billion KRW). Gwangju-si is planning to induce investments from local societies, industries, public agencies, and financial investors to fill the rest of capital. Hyundai Motor Company will be responsible for technical support and sales on construction, operation, production, and quality management of the production plant. Hyundai Motor Company will develop sub-compact gasoline SUVs with less than 1,000cc and assign the production plant with production. On coexistence development agreement voted by a local association of labor, management, community, and government includes information such as maintenance of reasonable wage and introduction of an advanced wage system, implementation of reasonable working hour and flexible labor operation, growth and coexistence between participants, implementation of communication and transparent management through cooperation between labor and management, and securement of local joint cooperation system. Average initial annual income for entire employees at the new corporation will be set at $31,500 (35 million KRW) for working 44 hours a week. Gwangju-si decided to introduce an advanced wage system, which increases base pay, after there are research services done by outside experts. It is going to establish a coexistence committee where labor and management will participate to have stable relationship to talk about all sorts of working conditions. 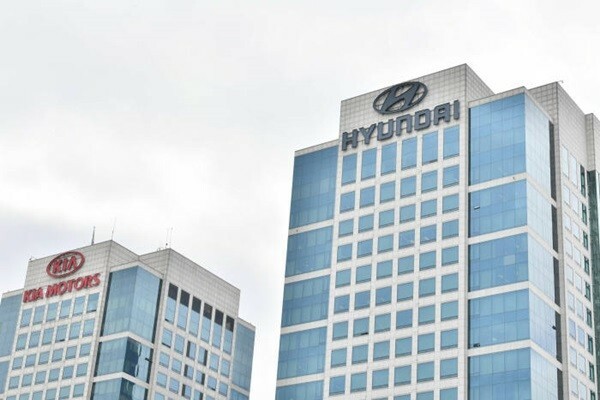 Gwangju-si and Hyundai Motor Company have decided to have decisions made by labor and management coexistence committee valid until 350,000 cars are produced by the production plant to secure stable management and continuous growth. Gwangju-si is going to focus on securing an advanced relationship between labor and management early through smooth operation by a local association of labor, management, community, and government to improve competitive edge of the new corporation. Hyundai Motor Company is going to focus on number of sales of cars produced by the new corporation so that the new corporation can operate smoothly. On top of this, Gwangju-si is going to provide subsidy of 10% of actual investment, 75% reduction on acquisition tax, and 75% reduction on property tax for 5 years so that the new corporation can be a successful project.